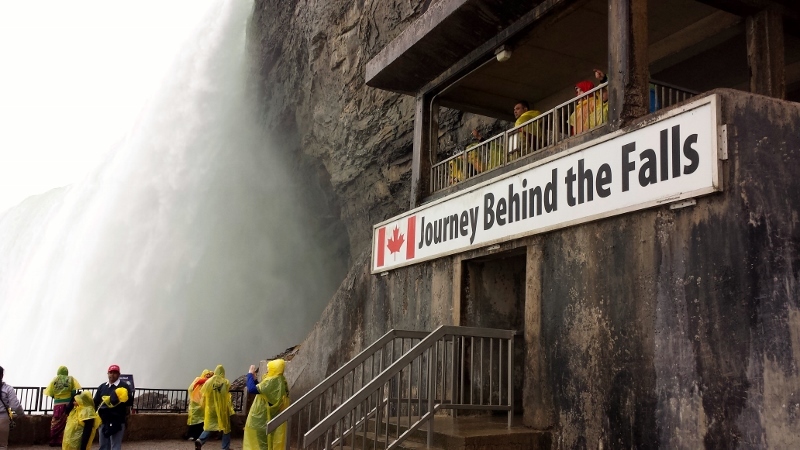 Niagara: The Journey Behind the Falls. 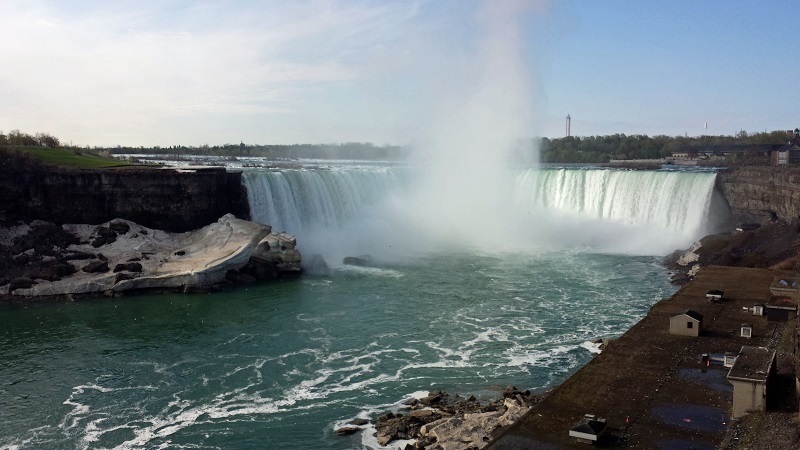 On the Canadian side of the Niagara River you’ll find tourists and their cameras up-and-down Niagara Falls Parkway capturing Horseshoe Falls, the biggest of three waterfalls that make up Niagara Falls. Head inside the Table Rock Welcome Centre along the parkway to get started. You’ll go down 45 metres in an elevator to the tunnels leading to the upper and lower observation decks and the other two viewing points. 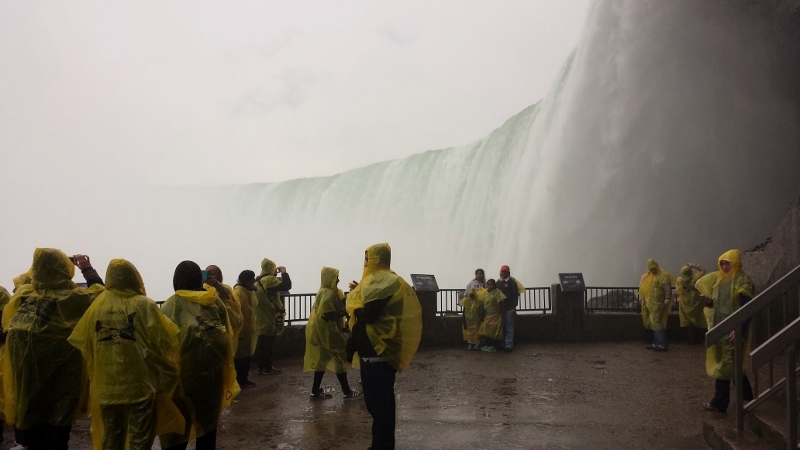 The two observation decks sit alongside the 790 meter long Horseshoe Falls. 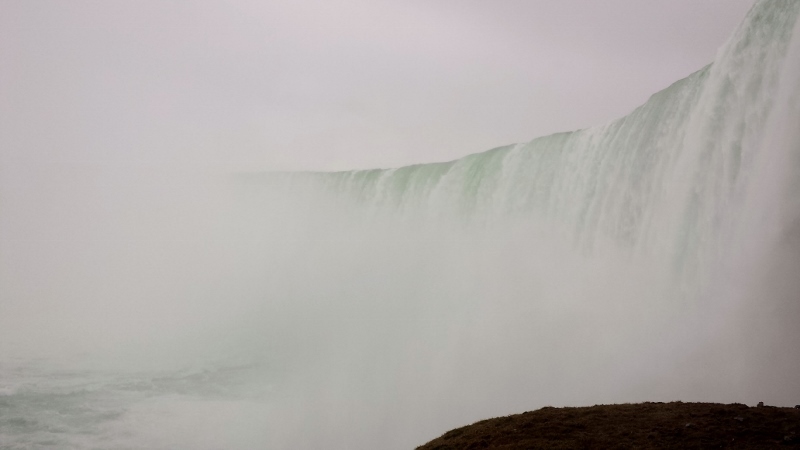 You can watch as 2,271,247 liters of water per second fall right in front of you. 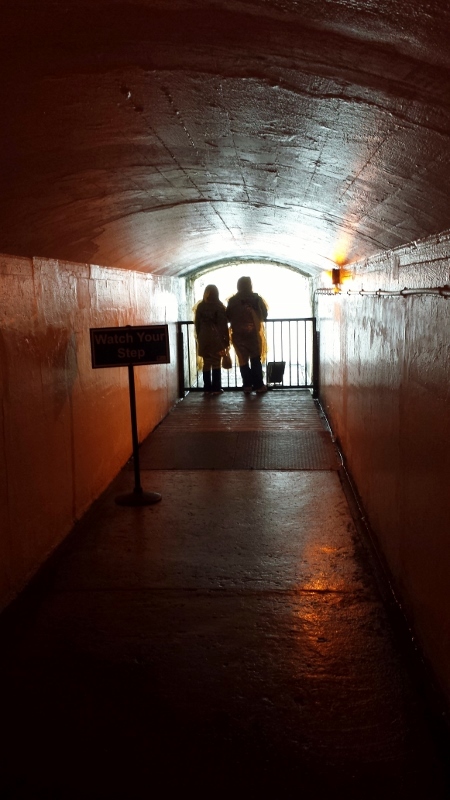 Besides the observation decks, you have the chance to go behind the Falls. 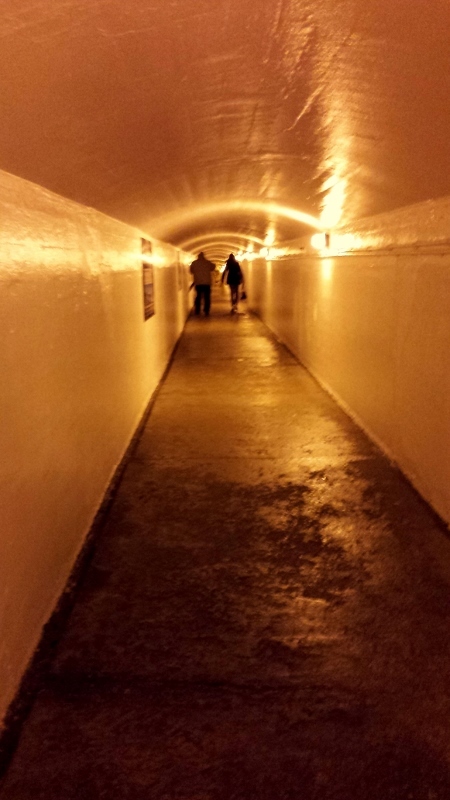 The tunnel that goes behind goes about a third of the way into the Horseshoe Falls. 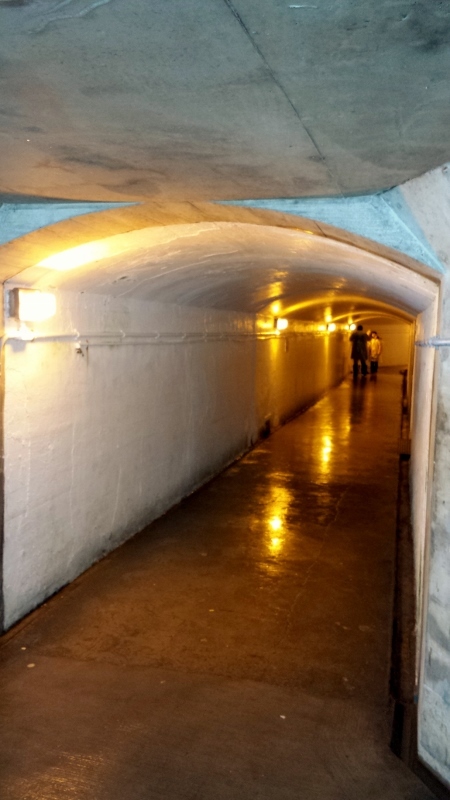 Checkout the posters along the tunnel walls to see historical pictures and get background information on the area, falls, tunnels and observation decks. About half way down this tunnel and at the end you’ll come to the other two observation points where you’ll get to walk within 10 feet of the Falls. Checkout that water coming down. One thing I like about Journey Behind the Falls versus the boat tours is that the tour is unguided. You can stay there as long as you want soaking in the atmosphere literally. 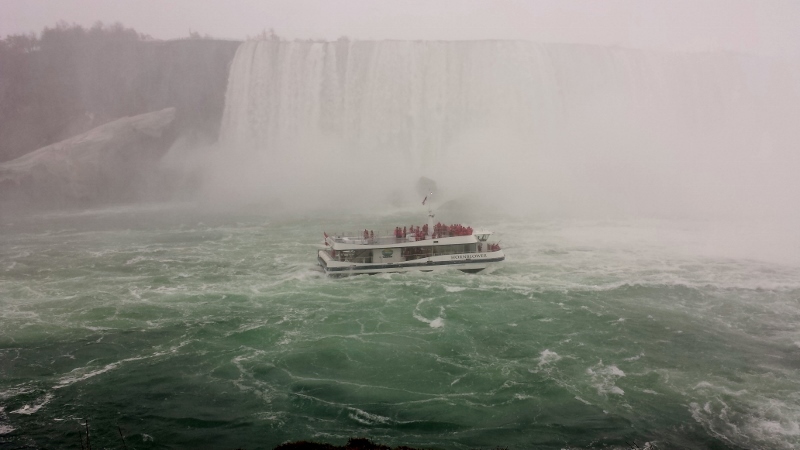 🙂 While on the decks you can watch the Hornblower Voyage To The Falls (Canadian side boat tour) and Made of the Mist (USA side boat tour) take turns going in-and-out of the Falls. The summer time cost of a ticket at the gate is $15.95 and $10.95 for adults and children respectively. You can purchase in advance as part of the Adventure Pass Classic package. Tickets for just this tour can be purchased in advance online at viator.com. Rates will vary based on the exchange rate. The tour comes with a rain poncho which can be kept as a souvenir.